With Nike Snowboarding boots in its second year this is the big thing. As usual Nike is using the zoom air sole. Apparently the Nike boots are really comfy and soft. The Nike boots seems to be more freestyle focused than a lot of others brands. 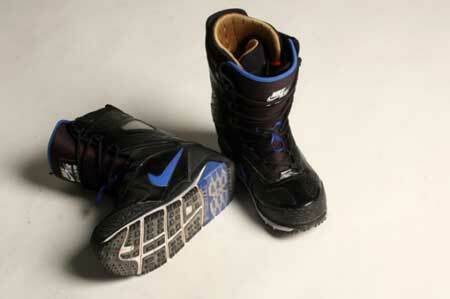 Some of the reviews from last seaqson stated that the Nike boots are really good for walking in. Not something I would put as most important. Nike Snowboarding will probably go big this year. A great team and products that seems to sell themselves. For bad and good.